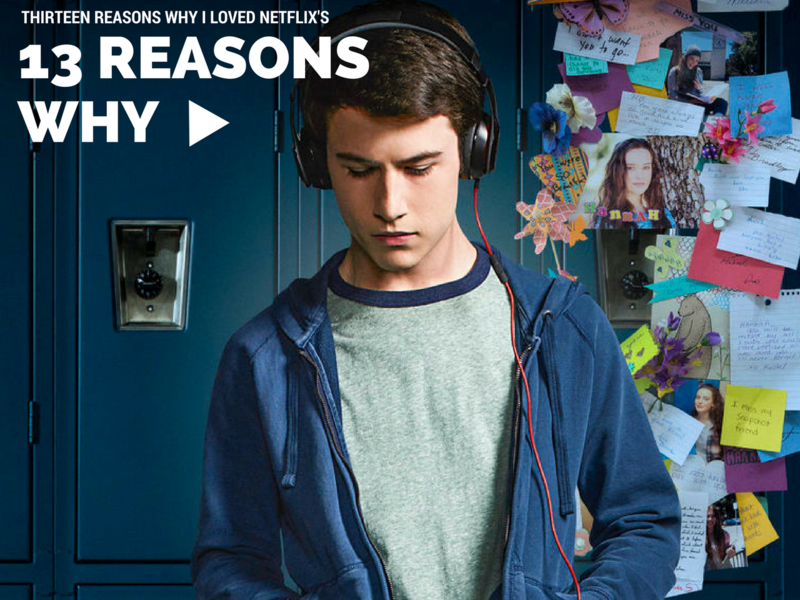 A few weeks ago, I talked about Thirteen Reasons Why (the novel and a little about the show). I've shared with several people that I loved the show way more than I did the book and so I wanted to share some of those reasons why. A brief summary of the show is that a teenage girl, Hannah Baker, commits suicide and leaves a suicide note (of sorts) on cassette tapes with the reasons that led her to do it. The tapes must be passed around to the people on the tapes. The series takes place while Clay Jensen is in possession of the tapes. Clay is struggling to listen to the entire set of tapes, while the others around him are trying to also deal with the actions that led to Hannah's demise. 1. You find out more about all of the characters, including some of their backstories and the emotions they're fighting throughout the series. 2. The cast and characters are diverse - there are characters of different races and sexual orientations, which is always a plus in pop culture! 3. 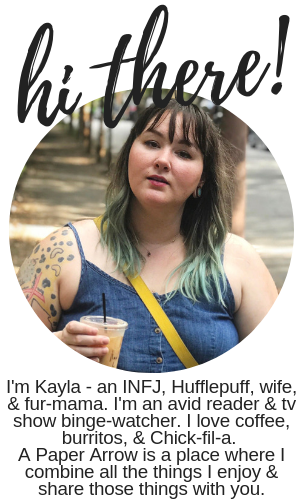 You get to know Hannah's parents and what they're going through. 4. The thirteen reasons are the same as the novel, but some are altered slightly. I really appreciated the changes made for the series adaptation - which made more sense to me. 5. Everyone's reactions to the tapes and that they're not all okay with it. It's tv, so hey, I like the drama of it all. 6. The show is more suspenseful than the books. Through the usage of (great) music and some rearranging of scenes and story lines, the show leaves you wanting to know more at the end of each episode. 8. The actors? I love them. Dylan Minnette (Clay) has played in a variety of shows and movies. I first recall seeing him on Scandal as Fitz' and Mellie's son, and I've loved him in everything I've seen him in since. He is going to go so far as an actor. Hannah's mom is Kate Walsh - aka Addison Montgomery, another Shonda Rhimes actress from Grey's Anatomy and then spin-off Private Practice. Alex? Yeah, you've seen him before. He was Drew on Parenthood, one of my favorite shows of all time! And he seems like the coolest person ever IRL. And Mrs. Bradley is Lane from Gilmore Girls! PS. Skye is Kevin Bacon's daughter - and who doesn't love Kevin Bacon? 9. Even though I read the book, I didn't know what was coming next. It was an exciting new experience from reading the actual book, but I honestly wish I'd watched the show first. It's compelling, but I was so caught up with "it wasn't like this in the book" that I was missing out on how great the show was. 11. (This is on my list of things I didn't love, too, because I have mixed emotions on it, but) The way the timeline was set up. Yes, it was confusing (see below), but it played well to the story line. I loved that Clay was experiencing Hannah's story as he went to each place on the map. It played off the novel well, but again, was slightly confusing on-screen. 12. The screenwriters really took the story and ran with it. (see number 4, above) Thirteen Reasons Why (the novel) was very bare bones, but the show is so much more than that. Again, I love that the reasons stayed mostly the same - but it was built upon to create something so much better. 13. This show speaks out about tragic things that people need to be educated about - suicide and depression, physical and sexual assault. There are scenes that are so immensely difficult to watch and may trigger some, but it's difficult to watch for a reason. 1. This is high school, and a large portion of the characters are juniors. Why do almost all of the characters have multiple tattoos? I know that actors are almost always older than the high school characters they portray, but what happened to the days when they at least pretended they were teenagers? 2. The characters that are on the tapes are not behaving how I think people would behave in real life. Hannah is dead, but they tend to slander her, call her a liar, and instead of feeling sad that she's gone - they're more worried about themselves. Some of the characters are decent human beings (Clay, Jeff, Tony), but others are straight up terrible human beings. 3. The timeline is slightly confusing. I didn't hate this, and I think it's just part of the overall aesthetic, but thank goodness for Clay's head injury, or I would never know what time period it was. 4. I wasn't 100 happy with the changes they made to Clay's personality from novel to the screen. I guess those changes made him more realistic as a human, but upset me a little to see him changed. 13 Reasons Why will rip out your heart, but it has a really important message. I think it's broadest message is that all actions have consequences. So it's important to be mindful of what you do and how you treat others. Again, this show is heartbreaking, but I cannot recommend it enough. You can stream 13 Reasons Why on Netflix. Have you watch 13 Reasons Why yet? What messages did you take away? What did you love or hate about the series? I've seen this show on Netflix but didn't watch it because I think the whole high school setting seemed a bit less appealing. It's good to know that it's a pretty decent show with a good message. I'm on the prowl for a new show to watch to I will have to give this one a go! I definitely recommend giving it a shot. I've really well made and super emotional. Plus, it's only 13 episodes, so not too long for a show. I said the same thing about Clay's head wound! It really was the only way to keep things straight, lol. LOL! I think they did it on purpose to make it clear what time period it was within the show!